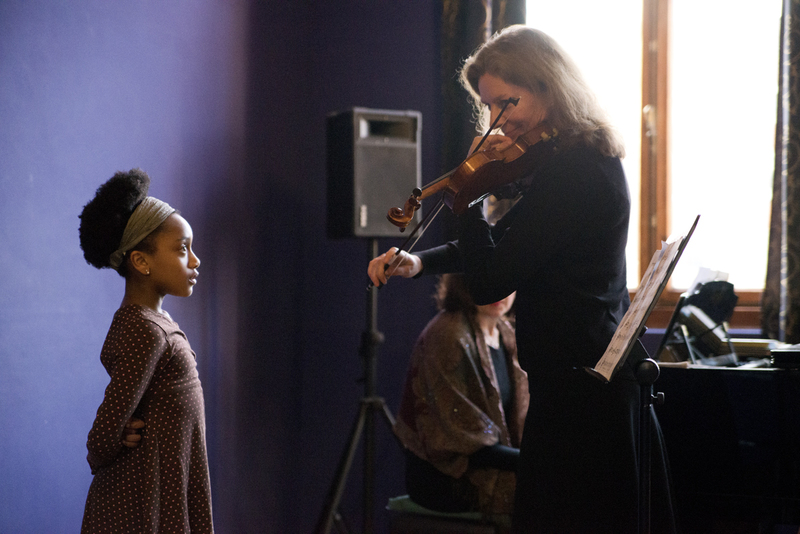 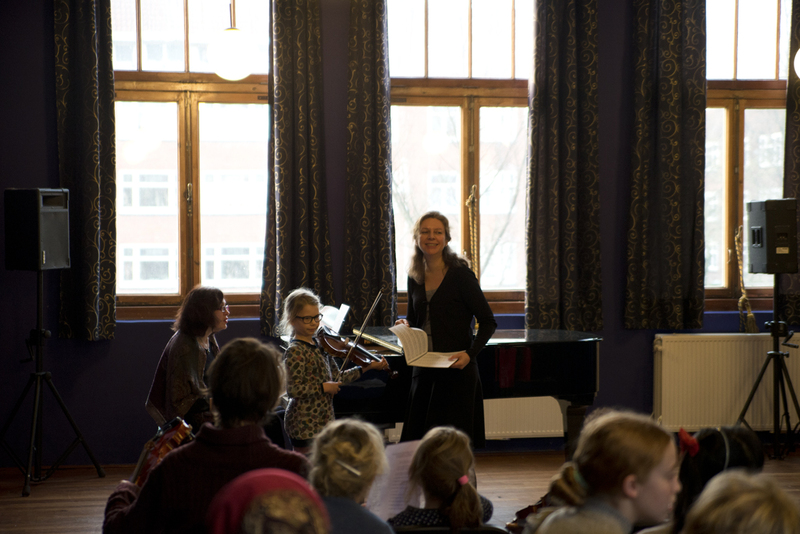 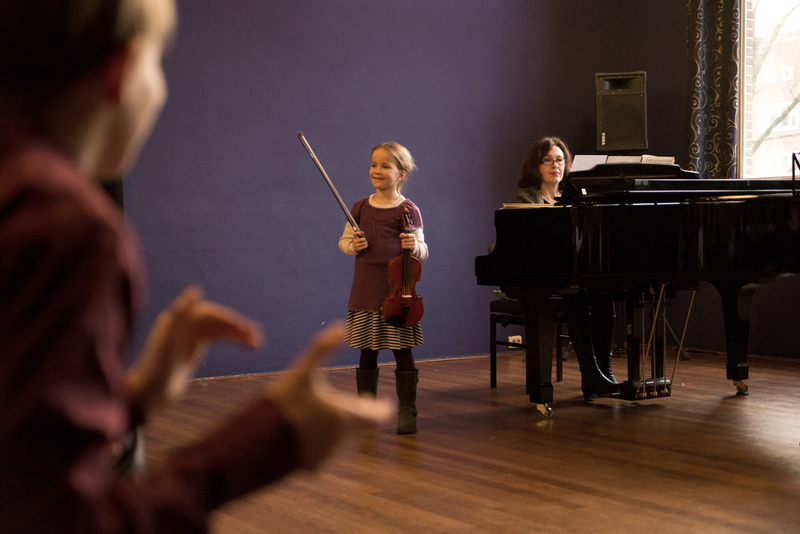 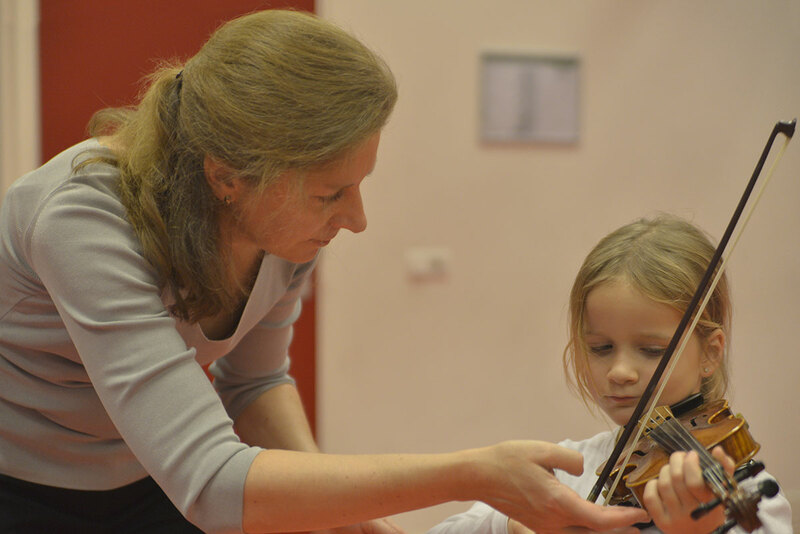 Carmen Eberz teaches the violin to children of all ages and levels. 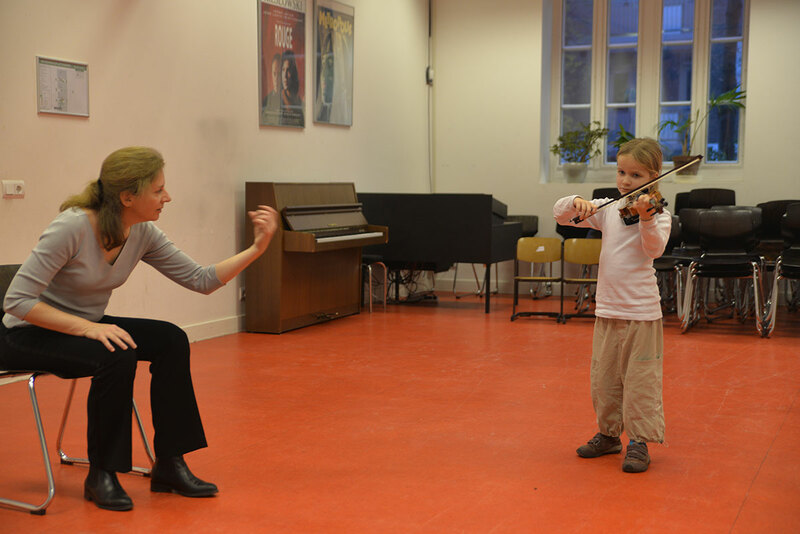 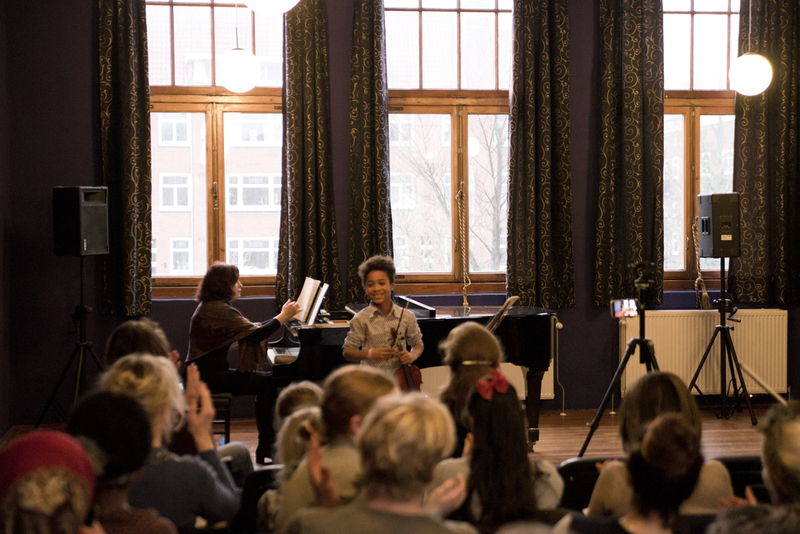 The lessons take place in Amsterdam East, at Carmen’s home or in the auditorium of the Meevaart. 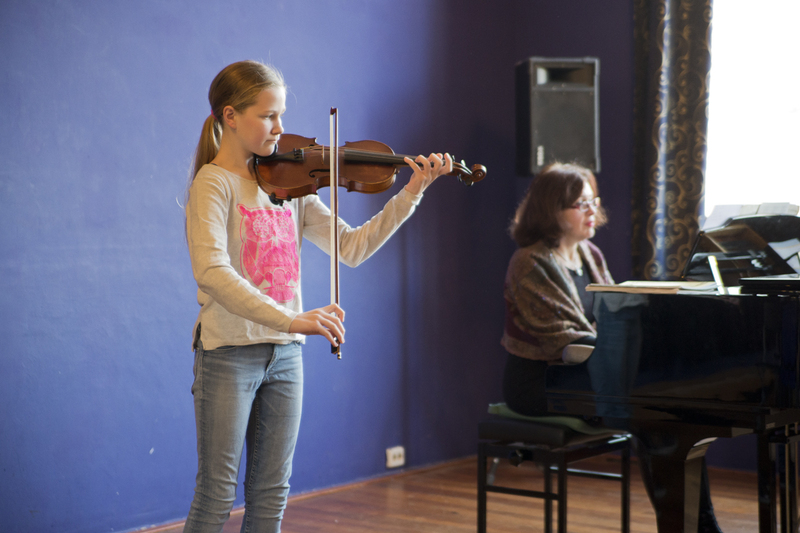 These lessons are 30, 45, or 60 minutes. 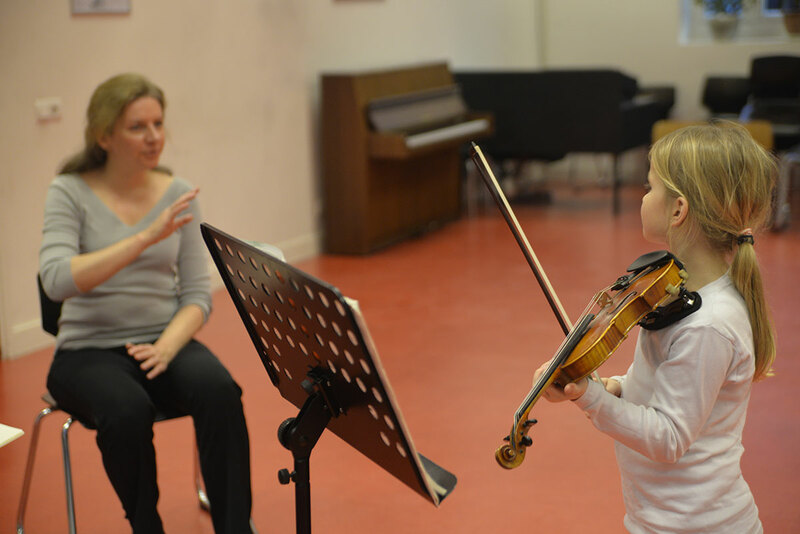 Children are not required to be able to read music before taking violin lessons. 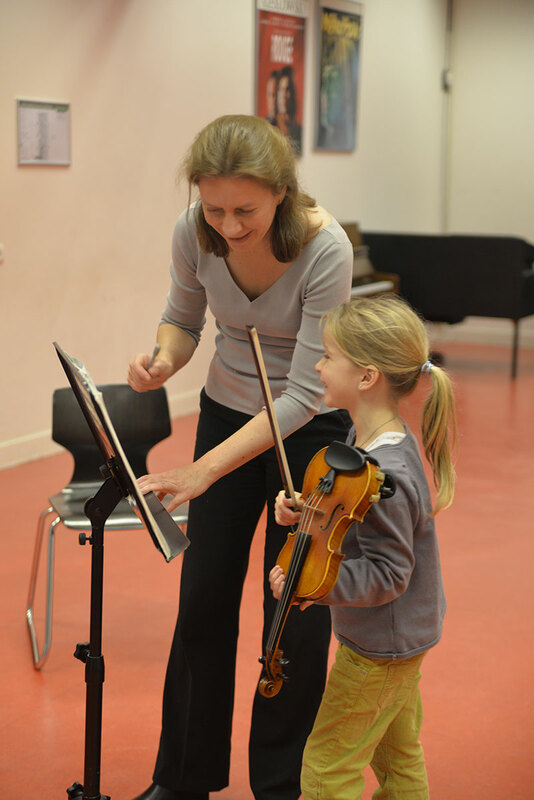 Music theory and violin technique are gradually acquired during the lessons. 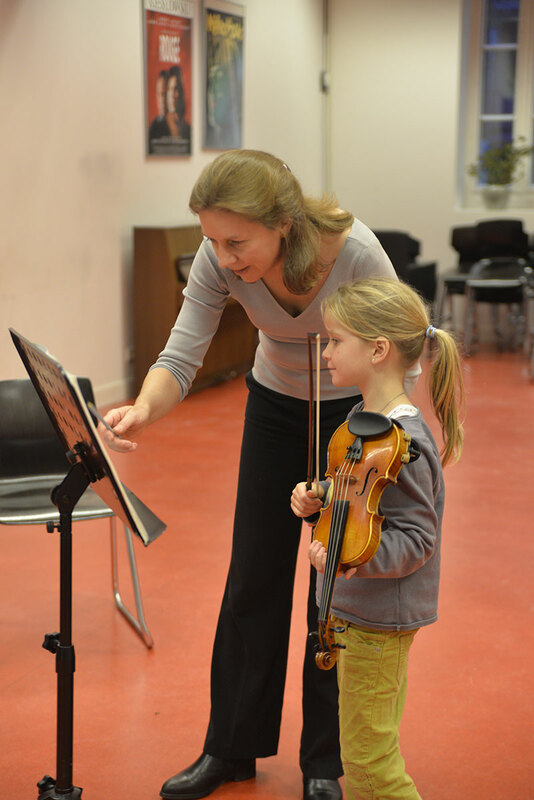 For try-out lessons, Carmen has violins in various sizes. 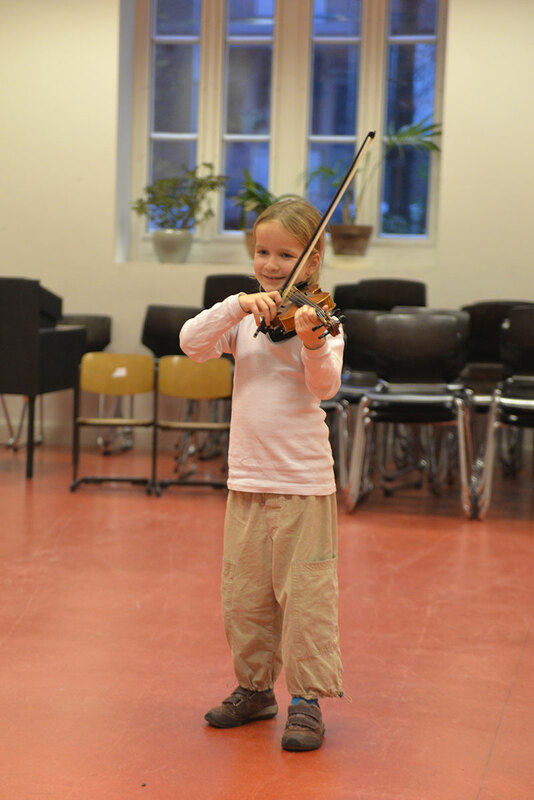 A private violin is usually rented from a violin maker. 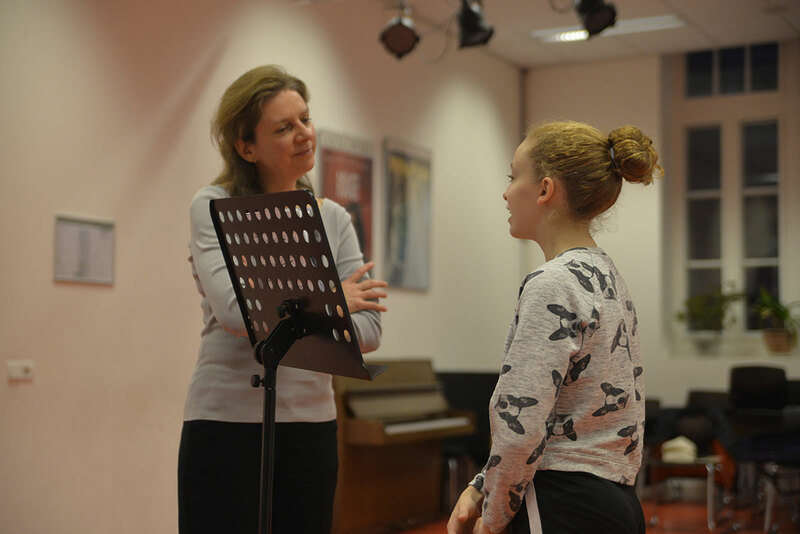 If necessary, Carmen can provide advice in this regard. 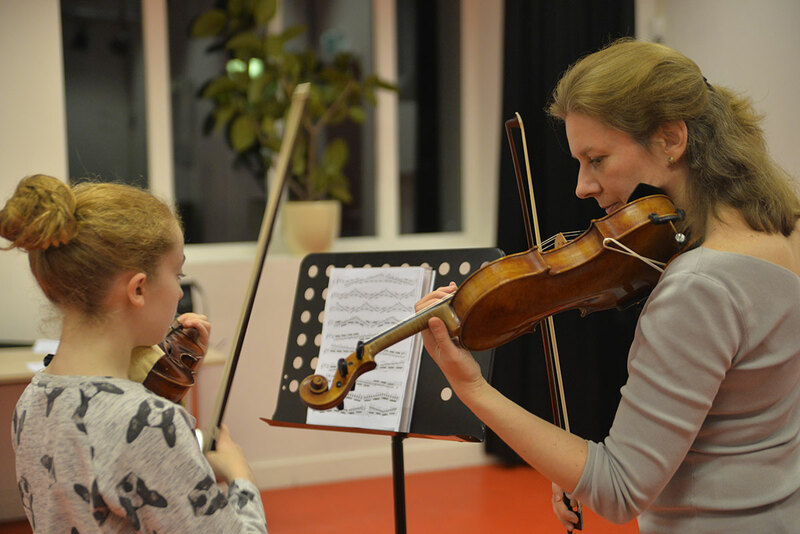 Parents of beginner students are welcome to attend the lessons. 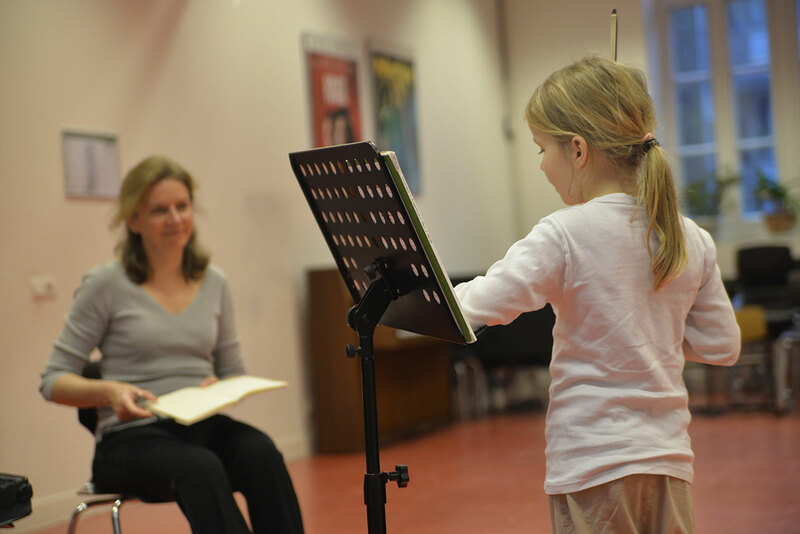 This way, they can closely follow their child’s progress, and better assist their practicing at home. 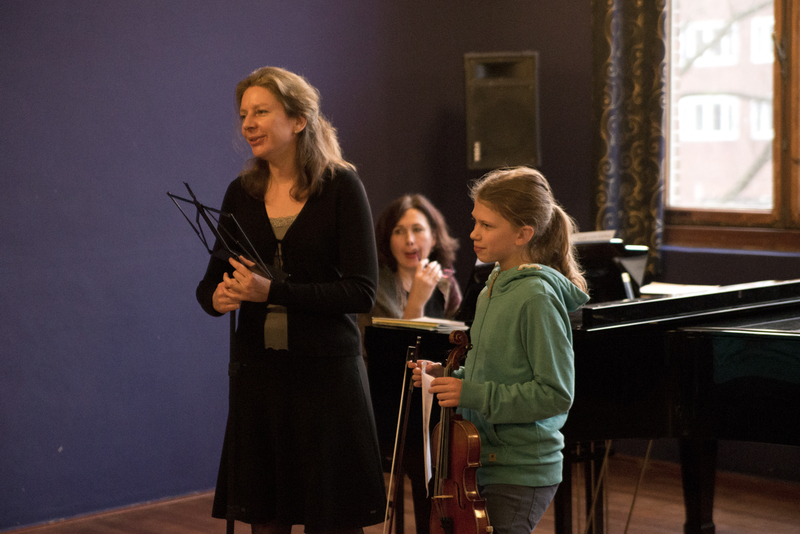 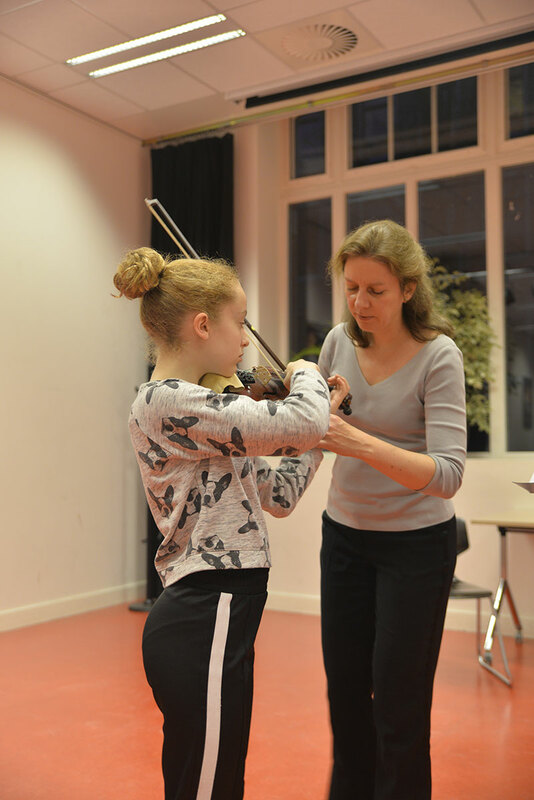 Obviously, beginner students are taught Carmen Eberz’ violin method Zo speel ik viool, to which various concert pieces, concerts and études are added. 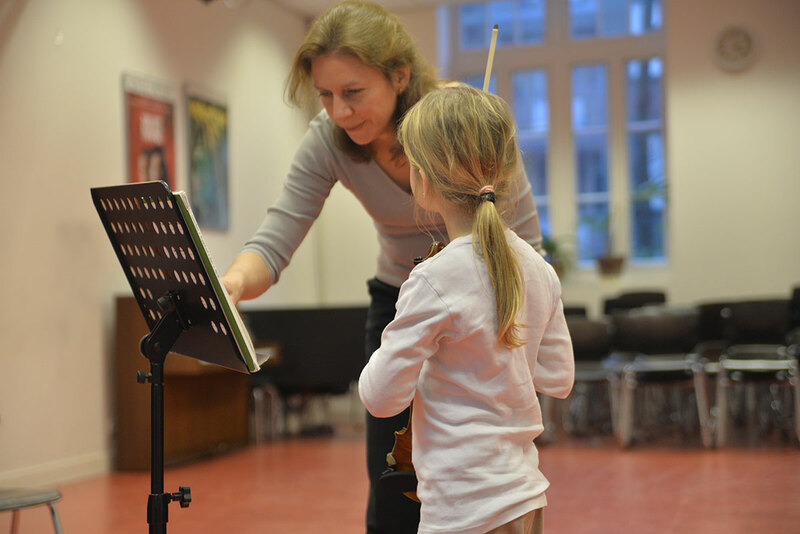 Children can start taking violin lessons as early as the age of four. 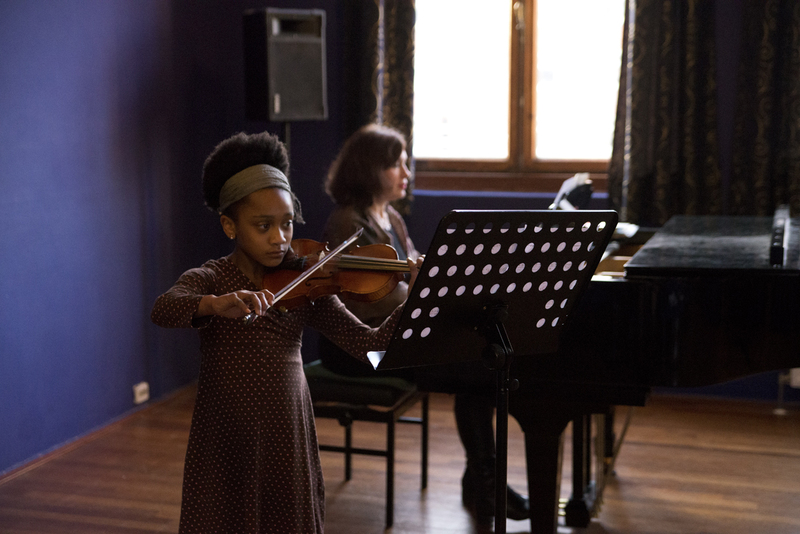 These young children are introduced to all aspects of music education in highly varied lessons, which include a lot of singing, clapping, learning to play by ear, and learning how to hold the violin. 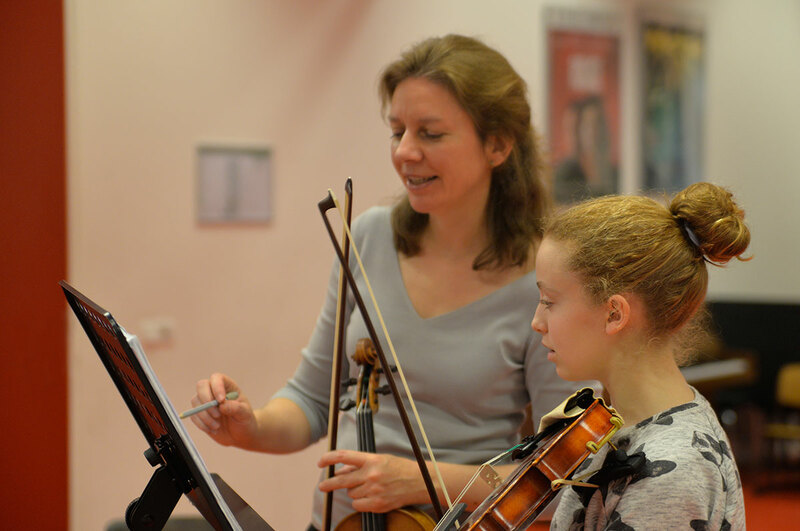 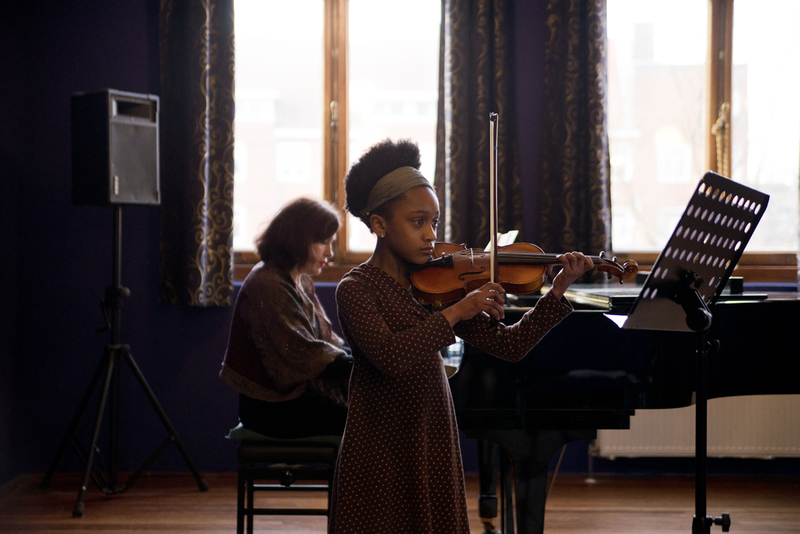 Carmen develops an individualised programme for advanced students, addressing all aspects of violin technique with varied and well-chosen pieces, thus enabling the students to build a good repertoire. 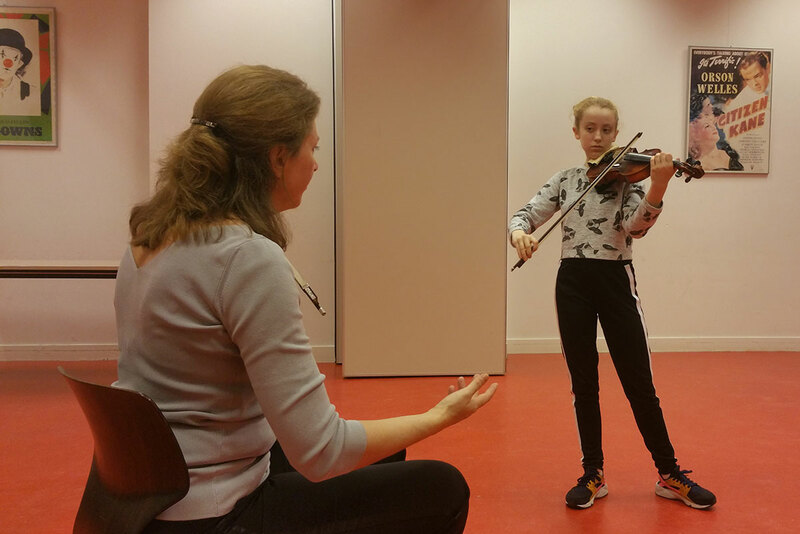 For both Carmen’s students and their parents, practicing at home on a daily basis should go without saying – unless it is absolutely impossible, of course. 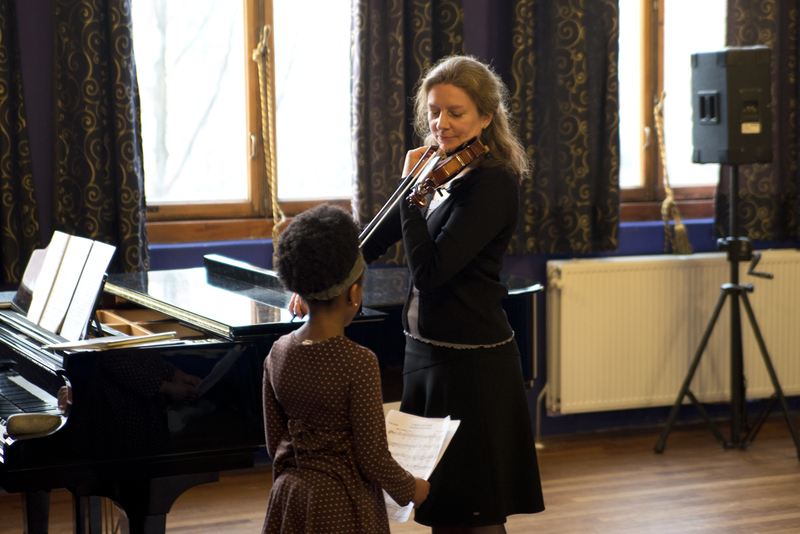 Carmen is highly committed to her profession and her students, and expects her students to practice in preparation for the next lesson. 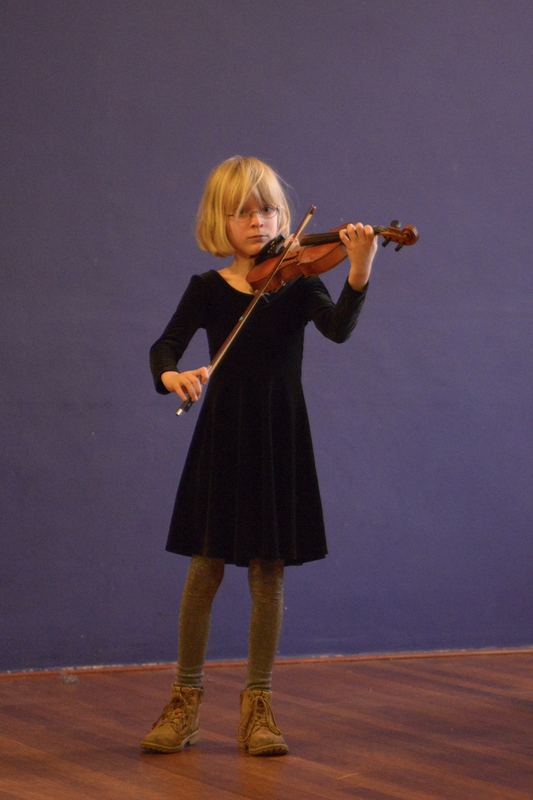 Obviously, this is not always fun. 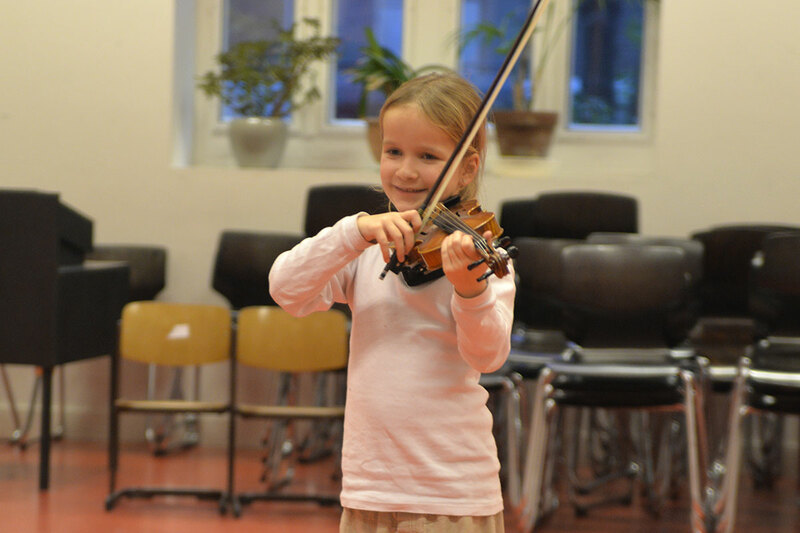 Practicing involves a lot of hard work and concentration, which takes time and energy. 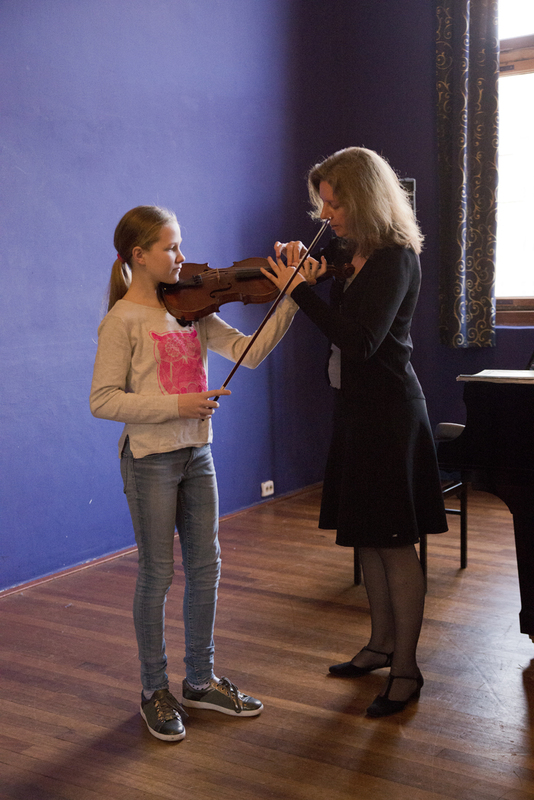 Therefore Carmen determines her requirements for practice in consultation with the student and the parents, depending on the age, potential, and ambition of the student. 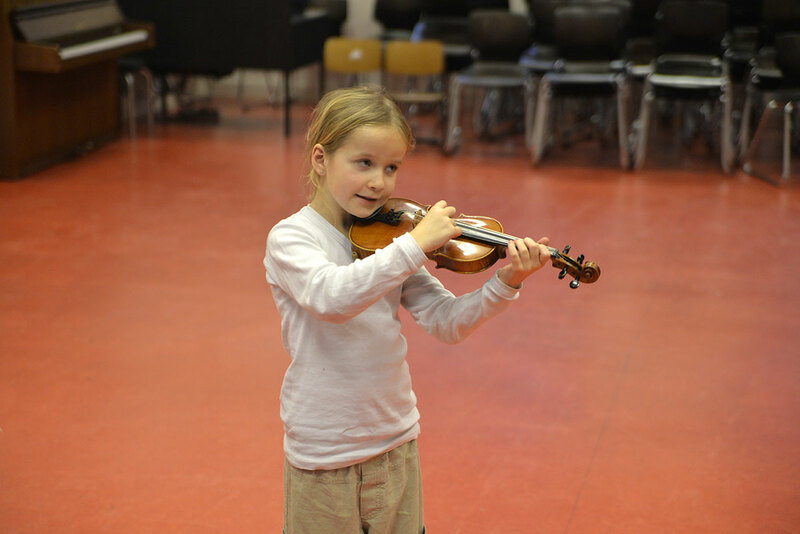 Making progress and moving towards a goal are two cornerstones for motivation. 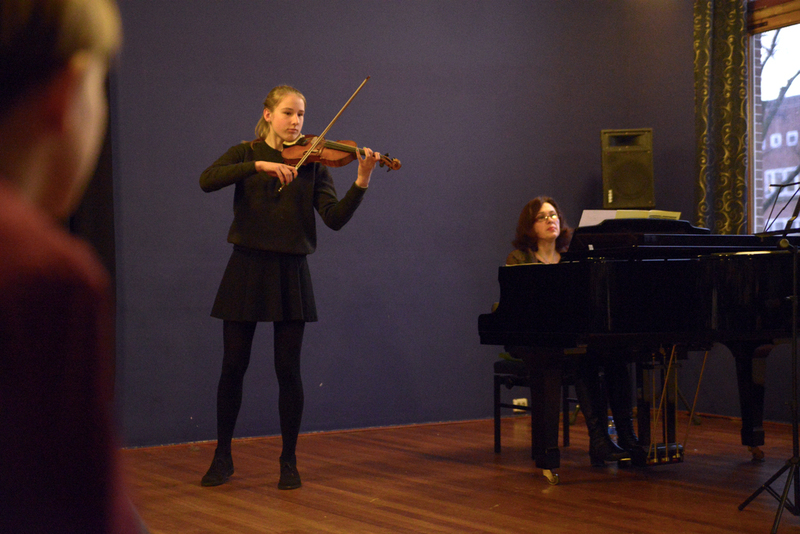 For this reason, Carmen’s students perform in front of an audience on a regular basis. 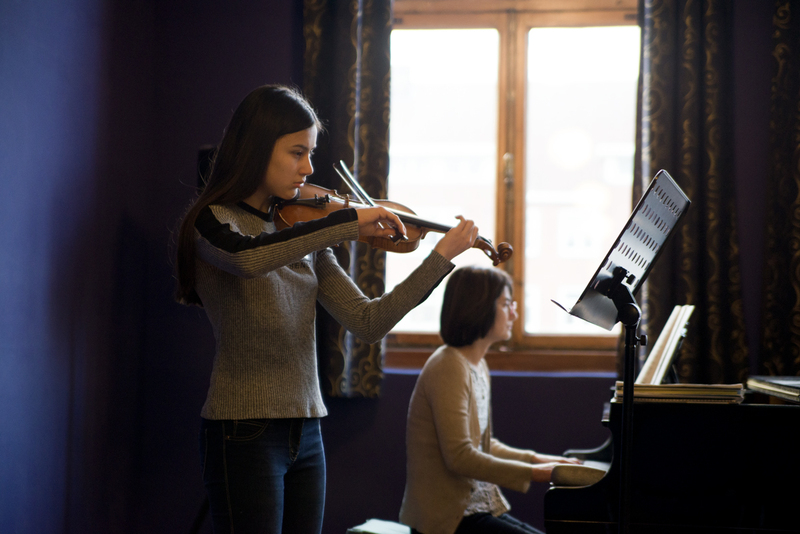 In these concerts, pieces of all levels are performed, from beginner’s pieces on open strings to magnificent pieces by Bach, Tchaikovsky, Wieniawski, and Kreisler. 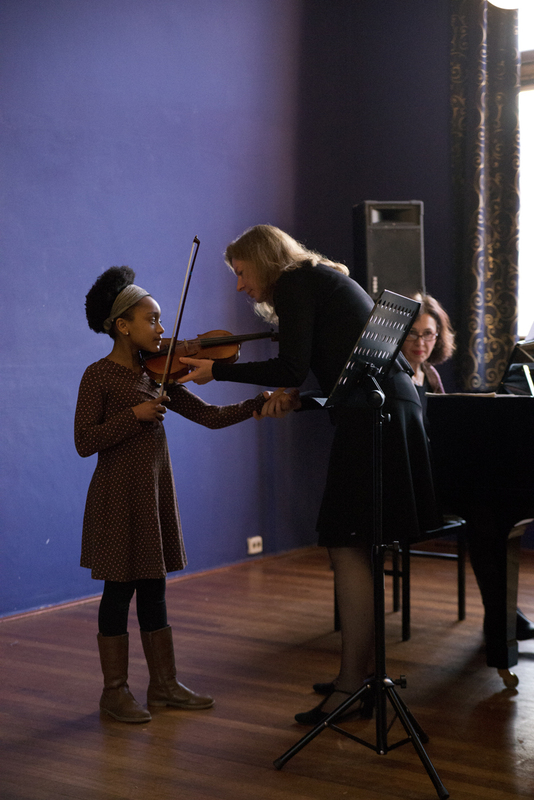 It is inspiring to hear other students play beautiful pieces, and very gratifying to conclude a piece you have worked on with a large round of applause. 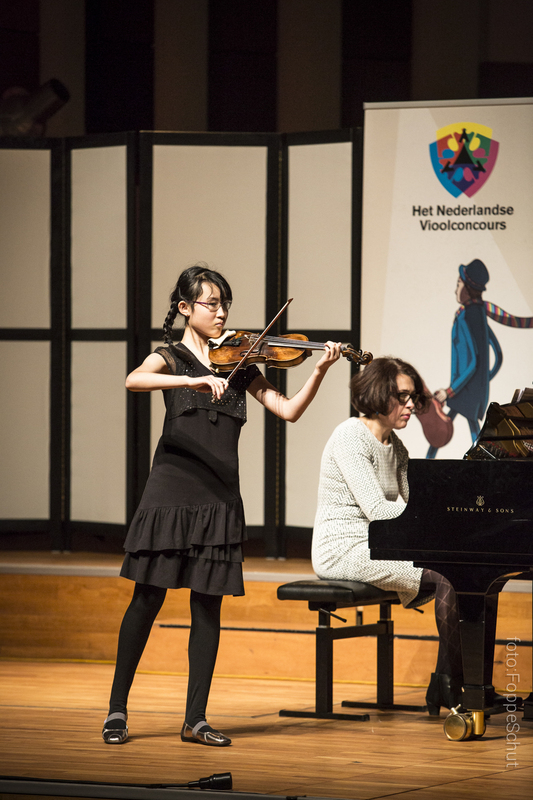 Ambitious students may participate in competitions for additional experience. 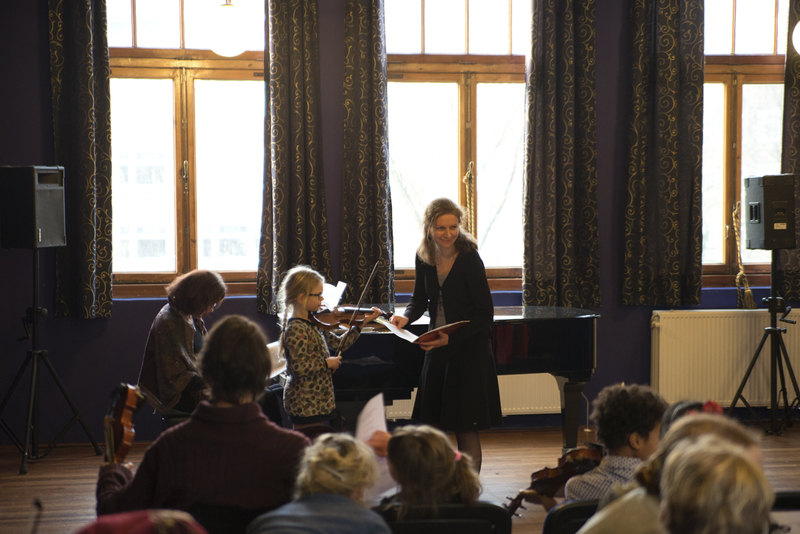 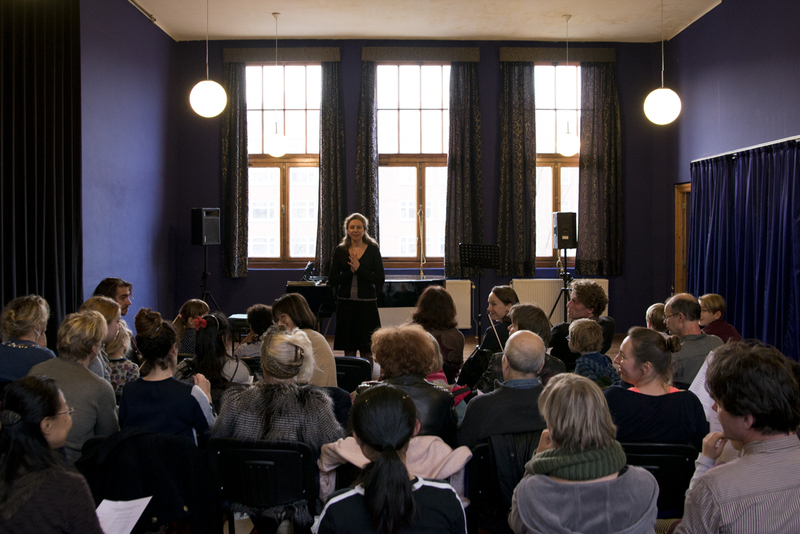 Carmen can also assist them in preparing for an audition for a youth orchestra or an entrance examination for a conservatory.